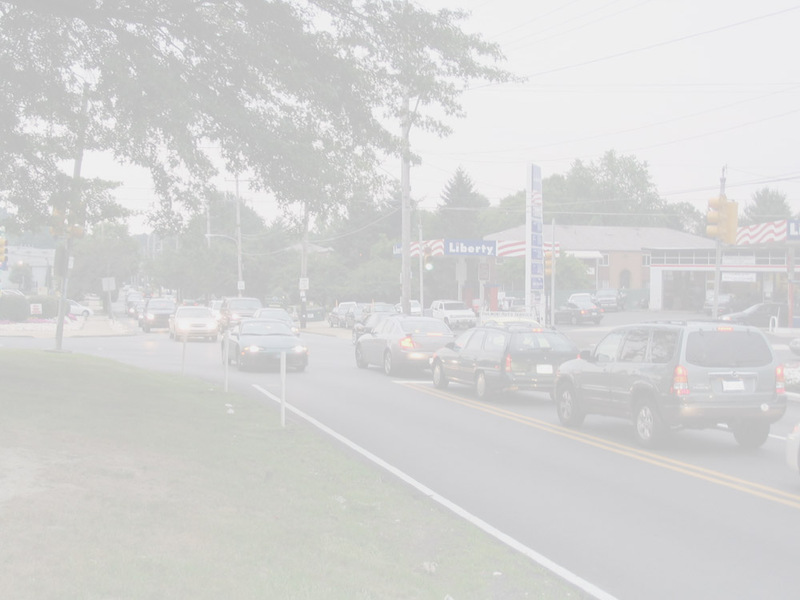 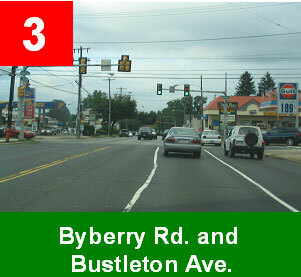 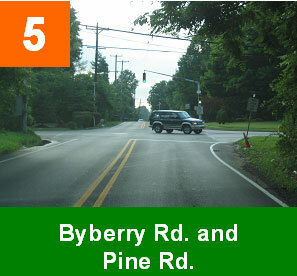 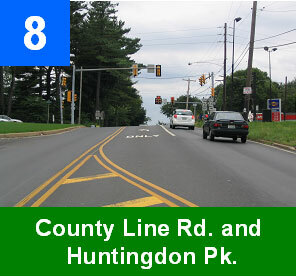 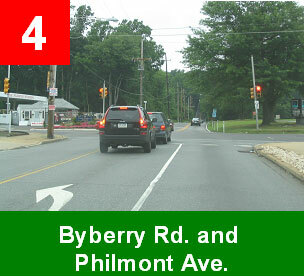 According to PENNDOT intersections are the usually the most critical portion of the roadway network. 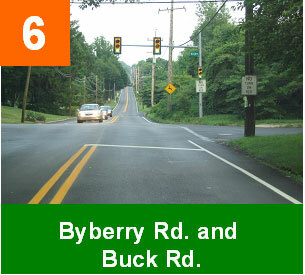 Then why won't PENNDOT improve them? 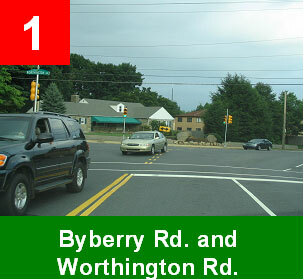 Map of Woodhaven Road Project Area intersections with operational deficiencies. 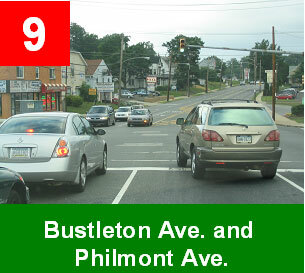 Condition: Turning Lanes Exist w/o Left Turn Signal. 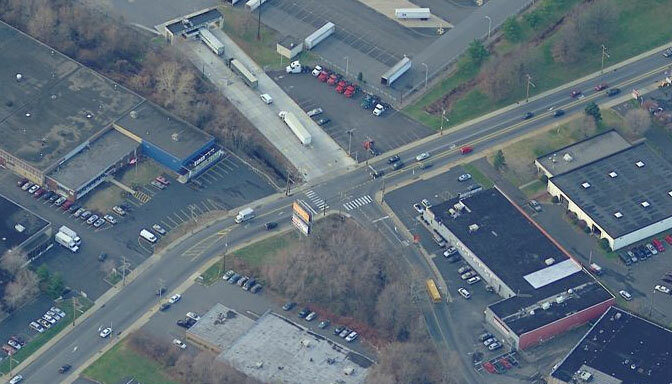 Exist Lane Markings should be improved. 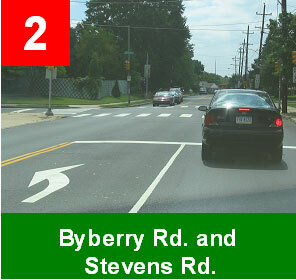 Condition: Turning lanes and green left turn signals exist, but other types of improvements needed..
10: Evans St. and Byberry Rd. 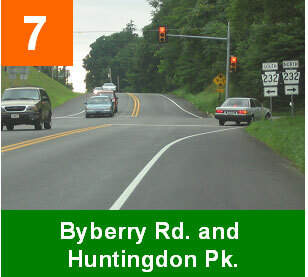 (Worst Intersection - Expressway pours onto Byberry Rd.